This was one of the treaties of Utrecht. 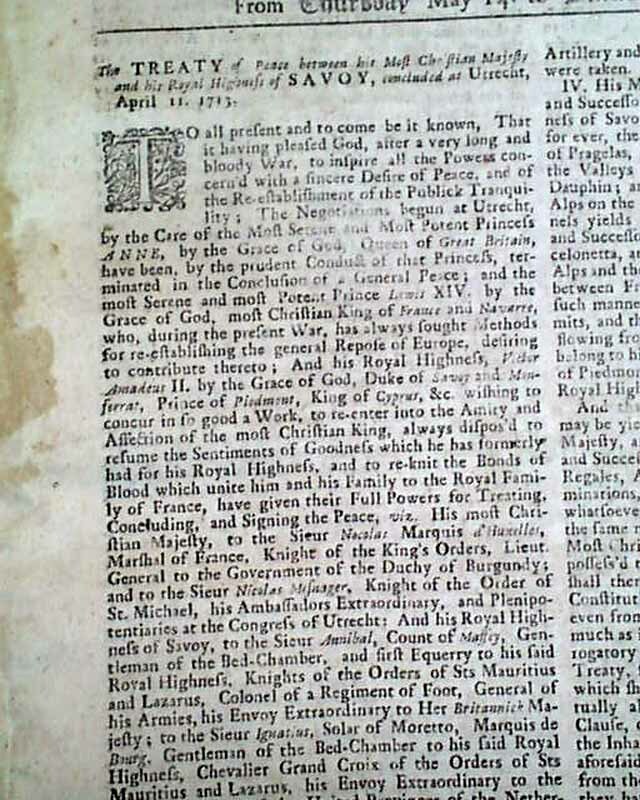 The Treaty of Utrecht was an historic agreement among various European powers, with France being the common party within the various agreements, concluded April 11,1713 at Utrecht in the Netherlands. It is part of the series of treaties which ended the War of the Spanish Succession. 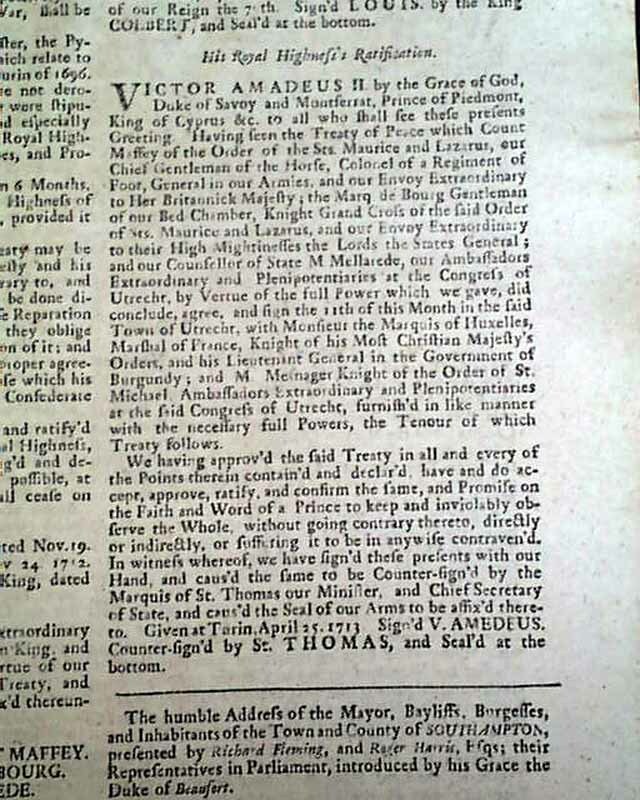 This treaty takes of of pages 1, 2 & a portion of page 3. 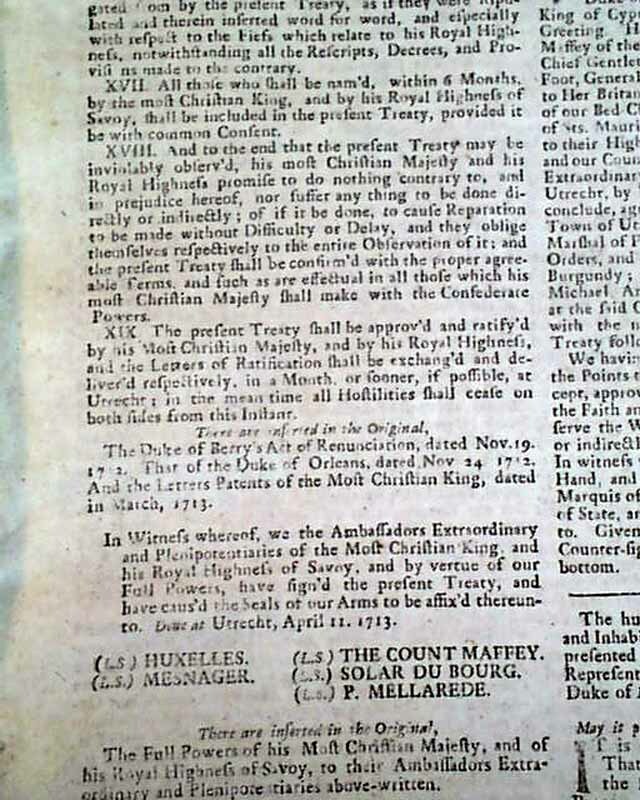 British historian G. M. Trevelyan argues: "That Treaty, which ushered in the stable and characteristic period of eighteenth-century civilization, marked the end of danger to Europe from the old French monarchy, and it marked a change of no less significance to the world at large, — the maritime, commercial and financial supremacy of Great Britain." 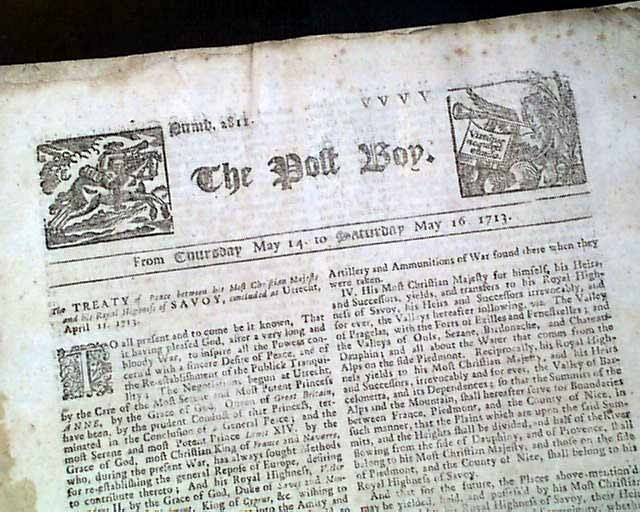 This event predates the popular magazines which would begin lager in the century and many of the more commonly held newspapers of the 1700's. A very historic treaty with ramifications throughout both Europe and North America. 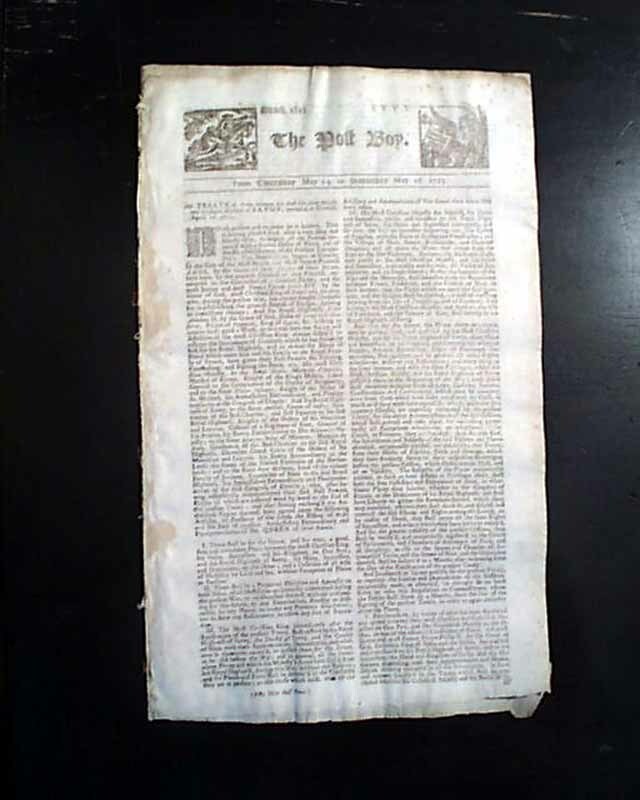 Complete in 6 pages, two decorative engravings in the masthead, nice condition.